Masudaya Robots and wind-up toys. We carry a small range of Masudaya Toys & Robots, made in Japan. Masudaya has been in business since 1724 and had of course its heydays in the 1950's and 1960's with their world famous Robots. Following is the list of Robots currently available. 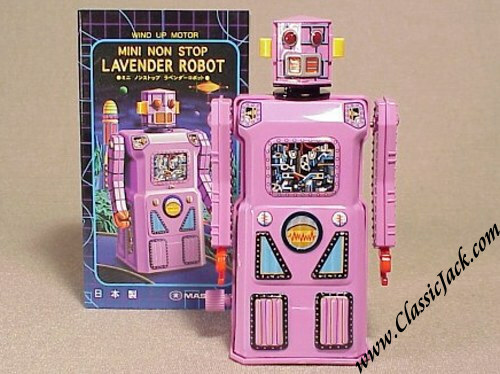 These Robots & Toys are for Collectors only and not suitable for children! The Mini Sonicon Rocket is an official Masudaya factory reissue of the famous rocket of the 1950's. It is some 5.1 inches or 13 cm long.